Literature states that treatment with vitamin D improves insulin sensitivity and glycemic control in individuals with type 1 and type 2 diabetes mellitus. Low level of vitamin D in the blood is linked to glucose intolerance, insulin resistance and beta-cell dysfunction. Having such a deficiency leads to hyperglycemia and increases the risk of developing diabetic complications in the future. Along with calcium, vitamin D is an important nutrient that plays a crucial role in the optimization of bone health. Vitamin D therapy is effective for the prevention of osteoporosis and thus it reduces the risk of bone fractures. 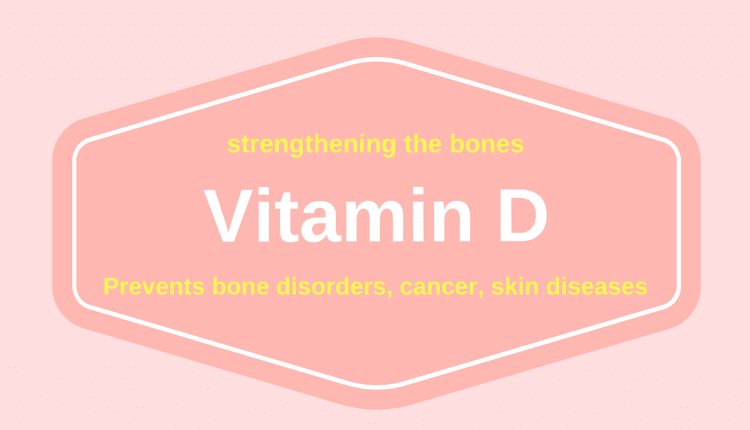 This sunshine vitamin enhances calcium absorption and strengthens the bones. In case of vitamin D deficiency, calcium absorption is decreased and production of osteoclast, bone-breaking cells increases. Insufficiency of vitamin D in older adults increases the risk of Alzheimer’s disease, cognitive impairment and dementia. Amyloid plaques (protein fragments) get accumulated between the nerve cells in the brain and damage the brain cells. Vitamin D helps in the clearance of amyloid plaques and protects the brain cells against death. Studies have revealed that vitamin D helps in the treatment and prevention of various health conditions and depression is one of them. A study found that treatment with vitamin D significantly reduces depressive symptoms which include anxiety, poor appetite, loss of sleep, mood swings and loss of interest in activities. Vitamin D further inhibits the action of certain compounds that play a causative role in the onset of depression. On the other hand, it also enhances the release of happy hormones that uplift the mood and give a feeling of well-being. It has been observed that individuals who get tired easily or those who have low levels of energy are usually vitamin D deficient. Studies have reported that normalization of vitamin D is associated with improvements in fatigue symptoms. Furthermore, vitamin D influences the immune system by stimulating the production of immune cells that protect the body against infections and illnesses. They keep the body strong and fit and enhance the energy levels. Obesity is a risk factor for various diseases and disorders. It is found that obese individuals are often vitamin D deficient. Taking vitamin D supplements along with calorie-restricted diet promotes weight loss in obese individuals. A vast array of literature has found a positive relationship between adequate vitamin D status and reduced risk of cancer. Insufficiency of this fat-soluble vitamin increases the risk of several cancers, which include colon, breast, prostate and ovarian cancer. Vitamin D prevents or slows down cancer by lowering cancer cell growth and stimulating death of cancer cells. It further inhibits multiplication and spread of cancer cells to other parts of the body. Vitamin D plays a crucial role in keeping infections at bay. It boosts the immune system and defends the body from harmful organisms. The deficiency of vitamin D increases the susceptibility to infections. It stimulates the action of immune cells that fight against foreign organisms and prevent their entry into the body.